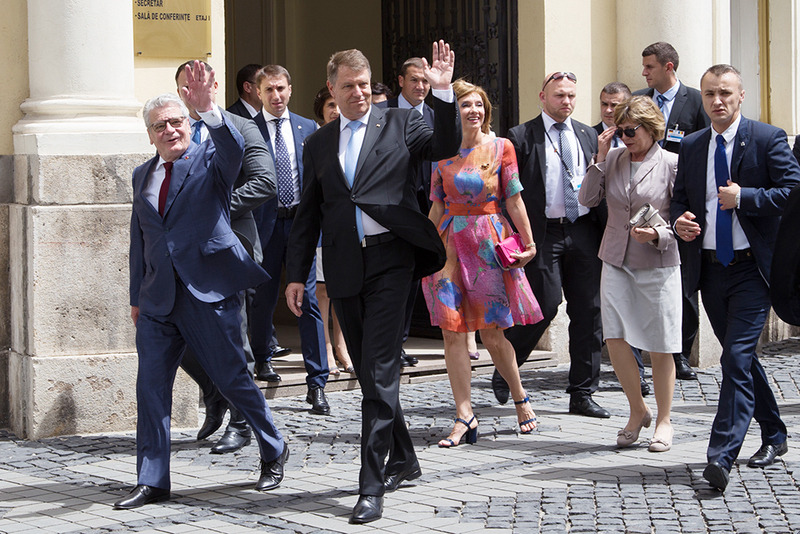 German Federal President Joachim Gauck, who was on a state visit in Romania and Bulgaria in the middle of June, visited Transylavania on 21 June, accompanied by his Romanian colleague, President Klaus Werner Johannis. Among other things, the program included encounters with representatives of the Evangelic Church A. C. in Romania in the fortified church of Cisnădie. 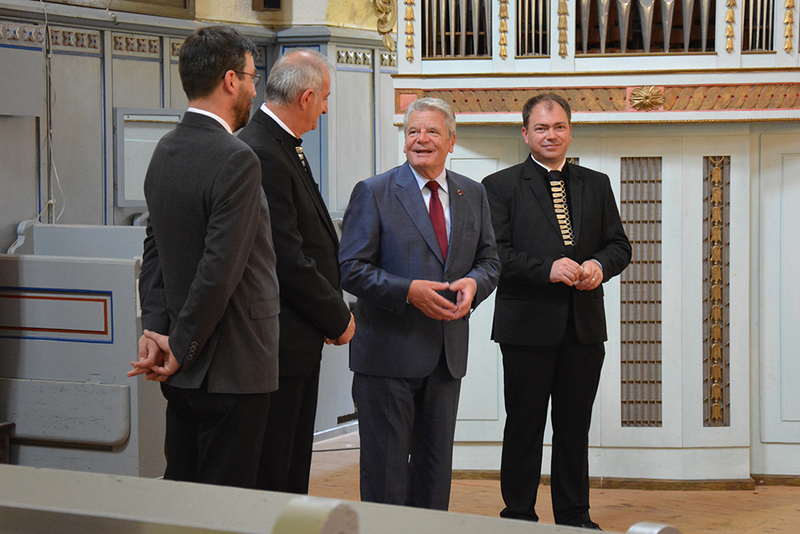 Joachim Gauck and Klaus Werner Johannis, both patrons of the Fortified Churches Foundation, were welcomed by Bishop Reinhart Guib, national church curator Prof. Friedrich Philippi, Bishop em. Dr. Dr. Christoph Klein and other church officials. Pastor László-Zorán Kézdi led the two heads of state through the castle and church. 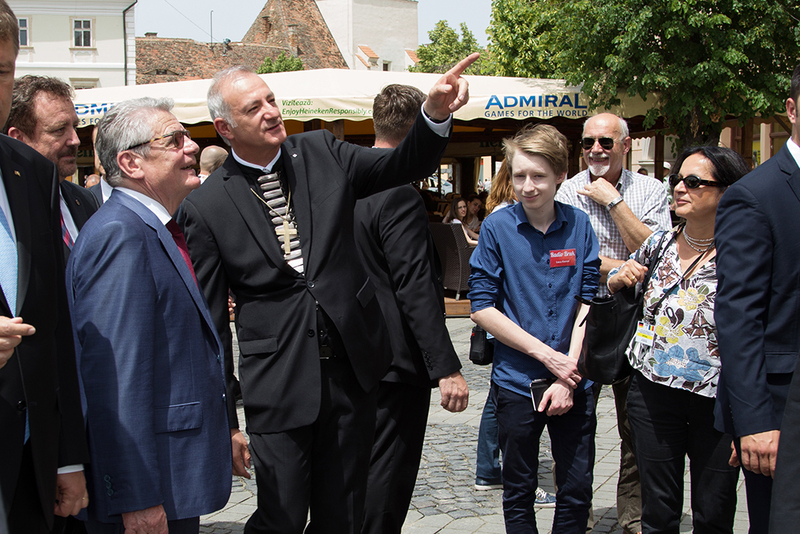 During his speech in the church, Bishop Reinhard Guib emphasized that he understood the honorable visit as a reinforcement for the support of the Fortified Churches Foundation, as well as for all other members and staff of the Evangelic Church A. C. in Romania and the engagement in their numerous institutions. 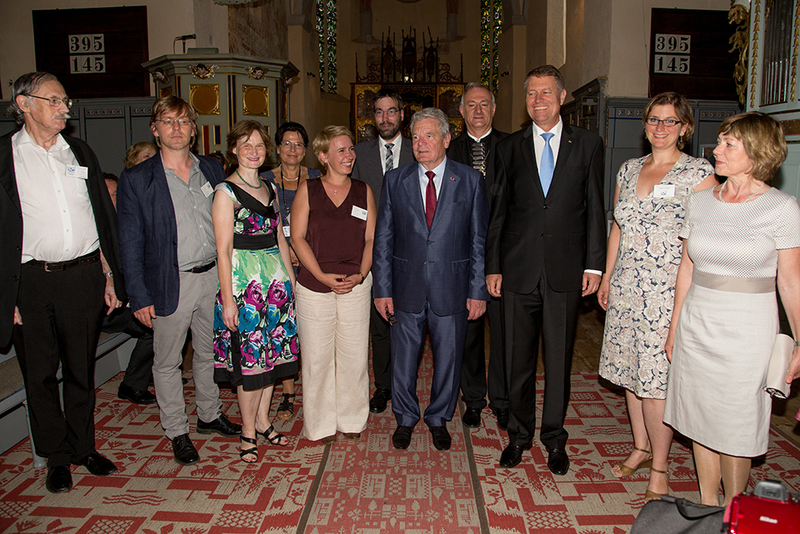 A central point of the program in Cisnădie was also the meeting of the team of the Fortified Churches Foundation with Presidents Gauck and Johannis, who are also its patrons. General Manager Philipp Harfmann, who was officially part of the presidential delegation during the entire state visit, thanked the two Presidents for their support for the preservation of the common cultural heritage, the Transylvanian fortified churches. 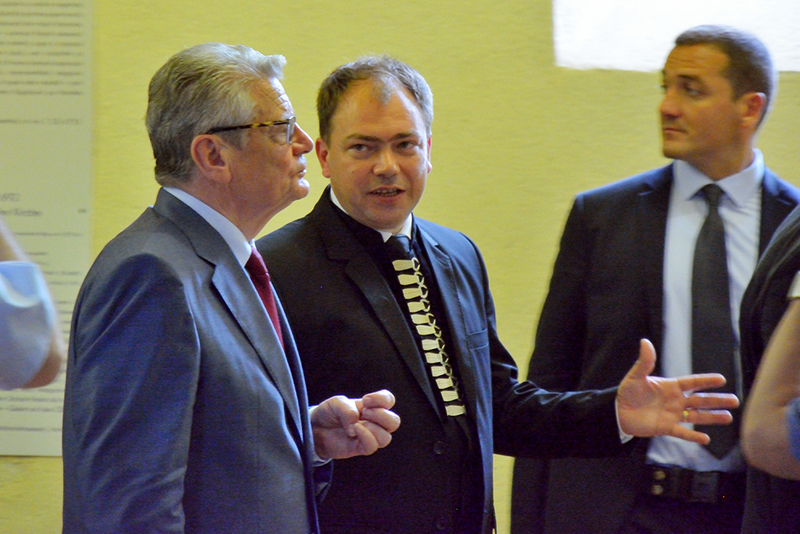 In a spontaneous speech, Federal President Gauck was impressed by the Foundation’s initiatives and gave very warm words of support to his previous speakers as well as to the assembled church. The collective singing of a hymn in the church concluded the visit of the two heads of state and foundation patrons.